Is the FDA Competent to Conduct Epidemiologic and Farm Investigations? The recounting by Tony Wesner CEO of Rose Acre Farms of the “inspection” of the Hyde County N.C. complex by a team of FDA personnel raises serious questions as to the competence, training and experience of those involved in the investigation. Speaking at the Atlanta Regional Meeting organized by the UEP, Wesner described the procedures used by the team in sampling layer houses and the packing plant. His informative and completely transparent description is confirmed by the observations of a board-certified poultry veterinarian affiliated to the State of North Carolina. My colleague who was present at the time had profound doubts as to ability of the FDA team to effectively plan and implement a structured sampling program to determine whether the complex was the source of an outbreak of Salmonella Braenderup. Only two of fifteen FDA inspectors assigned to the project had ever set foot on any commercial farm with livestock. It is evident that their experience was confined to pharmaceutical and food processing plants. This was evident in their assessment of the number of live mice observed in pits and the level of flies in houses resulting in an official FDA 483 Letter. While not excessive 25 live mice in 12 houses each 800’ in length was regarded as a serious infestation. A total of 25 “flying insects” were recorded over four days in an 80,000 square foot plant operating in-line with the laying houses. If mice and flies were regarded as being of epidemiologic significance in an alleged Salmonella outbreak why were no samples of these presumptive reservoirs obtained and assayed? The FDA team spent an inordinate time sampling manure rows in pits. Wesner estimates that drag swabs in houses extended over 20 miles. Approximately 200 swabs were taken in the plant apparently at random without an evident structured sampling plan consistent with other plants or investigations. The FDA can be faulted on their epidemiologic investigation. From documents released after legal requests it is evident from a heavily redacted series of tables that interviews with patients were incomplete. 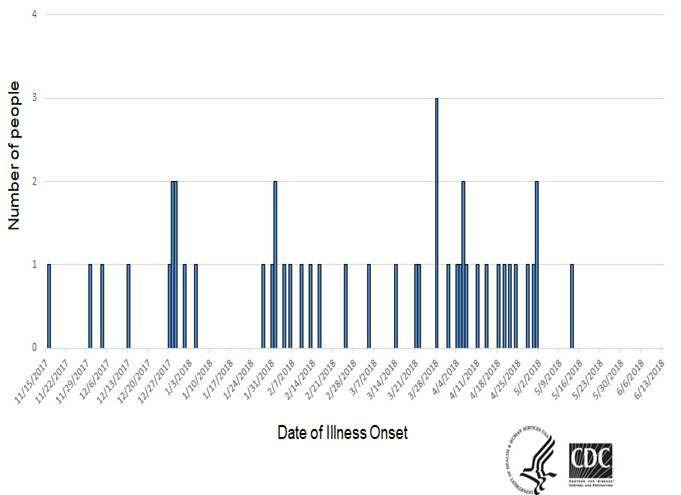 In any event an outbreak limited to 50 diagnosed cases over six months could not be expected to elicit meaningful historic food data—who can remember eating eggs and their source whether in the home or at a restaurant weeks or months previously? The FDA apparently applied Pulse Field Gel Electrophoresis (PFGE) assays in attempt to establish the molecular relationship among isolates. It is unclear from the limited responses by FDA whether more specific assays including whole genome sequencing regarded as the “gold standard” were subsequently applied to the investigation. The Company is still awaiting a final report from the FDA with microbiological results from the field investigation conducted during the week of March 26th. The 2018 Salmonella Braenderup outbreak was in any event a speculative event. Hyde County produced close to 2.8 million eggs per day consumed by a population of 30 million in the area of distribution. T o produce only 50 cases in six months represents an infinitesimal risk of infection from the farm. If in fact eggs from Hyde County were the only source of infection an extended chain of unfortunate circumstances would have been necessary to produce even the flat and unconvincing epidemic curve recorded. These factors would have included sequential shell penetration by the motile pathogen, defects in cleaning (no Salmonella were isolated from shell surfaces), thermal abuse subsequent to delivery, prolonged storage by retailers, restaurants or in households, undercooking and possibly immunosuppressed consumers. The financial implications from the FDA “investigation” and subsequent voluntary recall are immense far exceeding the $30 million insurance payout. In the initial weeks 56,000 cases were consigned to landfills followed by transport to a non-company breaking plant. Depopulation of the entire farm, decontamination, structural improvements and disruption of operations have added to the burden borne by the Company. A dispassionate review of the situation reveals incompetence, lack of proportion in assessing epidemiologic and production-related factors and dereliction in responsibility regarding follow-through on reports and recommendations. This episode is justification for a separate Food Safety Agency independent of the FDA. It appears that the priorities of the Agency are distorted. They elicited concern over 50 cases of an apparent outbreak of salmonellosis but apparently are not involved to a proportional degree with 72,000 annual fatalities from opiod overdosing or gross violations of standards in pharmaceutical plants in China and India supplying 70 percent of generic drugs prescribed in the U.S.